Fats often get a bad rap, but the truth is, your body needs healthy fats for energy production, nutrient absorption, and overall cell health. Along with carbohydrates and protein, fats provide energy, maintain brain and heart health, and even help reduce inflammation in the body. Every cell in your body uses fats and their building blocks — called fatty acids. You have probably heard of omega-3 fatty acids, which many people buy as supplements. You may have even heard of omega-6s — a fatty acid that people often get too much of. 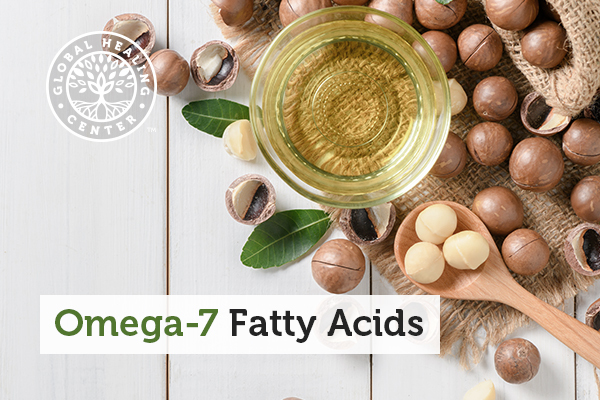 However, a lesser known fatty acid — omega-7s— plays a vital role in your health, and it's worth learning a bit more about them. In this article, we will discuss the many benefits of omega-7s and what they do for your body and your health. What Is an Omega-7 Fatty Acid? Omega-7s are a group of unsaturated fatty acids, including palmitoleic acid, rumenic acid, vaccenic acid, and others. Palmitoleic acid is the most abundant omega-7 found in plant sources, including macadamia nuts, avocado, and sea buckthorn oils. Olive oil contains palmitic acid, which the body converts to palmitoleic acid. Did you know that your body produces omega-7 fatty acids in your tissues! Your body makes omega-7s on its own, so they are not considered "essential fatty acids" like omega-3 and omega-6. Omega-7s are one of the most abundant fatty acids in your tissues, especially in adipose (fat) and liver tissue. Although no dietary recommendations exist for the intake of omega-7s, their importance is well-supported by science. You may wonder how omega-7s relate to the more popular fatty acids, omega-3, -6, and -9. The number refers to where the first (or only, if there's one) double bond occurs on the molecular structure. In an omega-3 fatty acid, the first double bond occurs three carbon atoms from the end of the molecule. Omega-3s, -6s, and -9s are polyunsaturated fats (PUFAs), while omega-7s can be monounsaturated (like palmitoleic acid), polyunsaturated fats, or even saturated (like rumenic acid). Mono- and polyunsaturated fats have fewer hydrogen atoms in their carbon chains and are considered healthier compared to saturated fats and are liquid at room temperature, rather than solid. If you're looking for natural ways to reduce swelling, dampen skin irritation, curb hunger, or boost the health of your heart, don't overlook omega-7s in your balanced diet or supplement toolkit. Below are the top benefits omega-7s provide. With less chronic cardiovascular swelling, you lower your risk of cardiovascular disease. Palmitoleic acid also encourages normal triglyceride levels in the body, which helps heart health. Last, but not least, omega-7s boost your immune system, which also reduces swelling and helps the heart. Taking omega-7 fatty acids, whether in food or supplement form, may help you eat less. Omega-7s are proven to curb hunger by releasing a fullness hormone! When you feel more full and satisfied after a meal, you tend to eat less and lose weight. That's exactly what happened in one study on laboratory rats. Consuming the omega-7 palmitoleic acid not only led rats to eat less, it also caused their bodies to release a fullness hormone. Olive oil did not have similar effects in the same study. Other studies show that palmitoleic acid may reduce fat cell size and total lipids (fats) circulating in the bloodstream, while boosting fat-burning. A study on sheep found that the omega-7 fat-burning powers may operate by increasing fatty acid oxidation and normalizing how much glucose is taken up by cells. Another study also found that omega-7s balanced insulin resistance in people prone to developing type 2 diabetes, and other studies suggest it has a positive impact on metabolism. Overall, these factors may help curb hunger and weight gain. If you want to have healthy skin, nails, and hair, consider omega-7s! They may prove useful as part of your anti-aging beauty regimen for multiple reasons. When exposed to chemicals, pollution, or the sun, your skin cells get "oxidized," which leads to premature skin aging. Omega-7 fatty acids protect against this "oxidative cell damage" by spurring the creation of new skin cells. Omega-7 fatty acids spark the body's production of new skin cells, and also boost collagen and elastin levels. Omega-7s also boost the body's production of collagen and elastin, proteins that keep your skin youthful and supple, with fewer wrinkles. Sea buckthorn berries, sold as a supplement, not only contain high levels of palmitoleic acid, but also tocopherols, a form of vitamin E that protects cells against sun damage, provides moisture, and reduces swelling. [12, 13] Sea buckthorn oil also increases blood circulation and can protect against infections and allergies. When a person experiences insulin resistance, cells cannot as easily absorb insulin, a protein that shuttles blood sugar (glucose) into muscles and throughout the body. As a consequence, the body pumps out more insulin in an attempt to regulate blood sugar levels. Palmitoleic acid may also improve glucose metabolism, or, in other words, breaking down glucose so that it does not build up in the blood. This is especially useful for people at higher risk of diabetes, prediabetes, or metabolic syndrome. Redness and swelling, part of your body's immune response, can be helpful when your body is responding to an injury, whether it's a bug bite or a bump on the head. But when inflammation becomes chronic and remains in your body, it can cause problems. Studies found that sea buckthorn's palmitoleic acid may reduce chronic swelling in various ways. Omega-7s like palmitoleic acid may curb the body's swelling in response to chronic conditions such as ulcerative colitis, a form of inflammatory bowel disease. It may also help dry eyes, which is connected to inflammation. Heavy alcohol usage or obesity can also cause internal organs to swell, leading to alcoholic and non-alcoholic fatty liver disease. People with organ swelling may benefit from taking omega-7 fatty acid. Omega-7s also help get both your good cholesterol (HDL) and bad cholesterol (LDL) where they need to be. It does this by balancing levels of an inflammatory marker called C-reactive protein (CRP). You can find omega-7s in foods, particularly oils, but also in supplement form. Here are the most common sources. 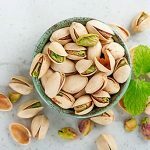 Medical professionals have not established an omega-7 recommended dosage, but eating foods rich in this fatty acid can help you stay on top of your game. The macadamia nut is one of the best sources of omega-7 fatty acids. 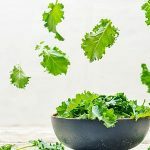 It contains 80 percent monounsaturated fatty acids — around 60 percent oleic acid (an omega-9 fatty acid) and approximately 20 percent palmitoleic acid. Macadamia oil is one of the richest sources of omega-7s. Not only is it a heart-healthy oil, but it's a great cooking agent. A diet that contains moderate amounts of macadamia oil may be beneficial. Its unique balance of fats makes this oil heart-healthy. It protects against heart disease by protecting cells from oxidative stress. Also, monounsaturated fats are less susceptible to going bad than polyunsaturated fats, so they are better for cooking and can handle higher temperatures. The oil from sea buckthorn contains a great source of omega-7s, especially for use on the skin and hair. Extracted from the pulp, the oil is also rich in vitamins C and A, the latter of which causes its orange color. You will often find sea buckthorn in beauty products due to its collagen-boosting and elastin-enhancing properties. 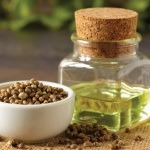 This omega-7-rich oil isn't for cooking. Try sea buckthorn oil as a face serum or a capsule to receive its powerful benefits. Filled with antioxidants, sea buckthorn oil also protects against cell damage when used both externally and internally. Apply a small amount to skin after cleansing and adding serum to lock in the moisture and form a protective barrier on your skin. Or take a capsule to encourage similar benefits from the inside out. The oil from avocado fruits contains palmitoleic acid, in addition to other monounsaturated, polyunsaturated, and saturated fats. You can substitute avocado oil for other cooking oils; it has a very high smoke point (520 degrees Fahrenheit), meaning it can tolerate higher temperatures than many other oils. In fact, its smoke point is higher than extra-virgin olive oil and sunflower oil. You can find omega-7s in smaller concentrations in olive oil. Even trace amounts of the fat can be beneficial. Olive oil contains healthy monounsaturated fats and polyunsaturated fats as well as up to 20 percent palmitic acid, which synthesizes into palmitoleic acid. Olive oil is great for drizzling on prepared foods and salads after cooking and delivers a ton of health benefits beyond (and thanks to) its fatty acid content. Some people have found that sea buckthorn — one of the most common omega-7 supplements available — has a laxative effect, but these are also a benefit. In traditional Chinese medicine, it was used for its detoxifying properties as it helps the body process chemicals and shed excess waste. Buckthorn, in particular, may also result in dark-colored urine, which resembles the yellow or orange color it takes on when you are dehydrated — even when you aren't. This is simply due to the orange color of sea buckthorn berries. Some people find that it may also cause their body odor to change. Some health experts believe that palmitic oil — which is found in some unpurified supplements — may have harmful health effects, primarily because it is a saturated fat. However, other experts believe that heart-healthy saturated fats exist in plant oils, like coconut oil. Also, it is believed that the palmitic oil in olive oil converts to palmitoleic acid in the body. Typically, omega-7s supplements come "purified," whereby they contain only palmitoleic acid (a monounsaturated fat) without the palmitic acid (a saturated fat). 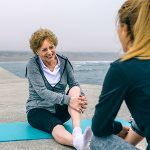 There seems to be a wealth of reasons to consider adding omega-7 and omega-3 fatty acids to your supplement regimen, including heart health, weight loss, and skin health. Omega-7s may reduce swelling and redness throughout the body, protecting blood vessels and the heart. Studies have found omega-7s also may encourage weight loss. Taking omega-7s may reduce hunger, decrease fat cell size, normalize insulin sensitivity, and boost metabolism. Palmitoleic is the most common plant-based omega-7 fatty acid, and much research has linked it to positive health benefits. You can find it in macadamia nuts and oil, sea buckthorn berries or oil, and small amounts in olive oil. Omega-7s are yet one more heart-healthy fatty acid to consider adding to your dietary regimen. Have you added omega-7 to your diet? What’s your experience with it? Share your thoughts in the comments! Frigolet M, Gutiérrez-Aguilar R. The role of the novel lipokine palmitoleic acid in health and disease 1,2,3. Adv Nutr. 2017;8(1):173S–181S. Song I-B, et al. Effects of 7-MEGATM 500 on oxidative stress, inflammation, and skin regeneration in H2O2-treated skin cells. Toxicol Res. 2018;34(2):103–110. Bueno-Hernández N, et al. Effect of cis-palmitoleic acid supplementation on inflammation and expression of HNF4γ, HNF4α and IL6 in patients with ulcerative colitis. Minerva Gastroenterol Dietol. 2017;63(3):257-263. The Truth About Fats: the Good, the Bad, and the In-between. Harvard University, Harvard Medical School. Updated 13 Aug 2018. Accessed 22 Oct 2018. Gimbrone MJ, García-Cardeña G. Endothelial cell dysfunction and the pathobiology of atherosclerosis. Circ Res. 2016;118(4):620–636. Deshmane SL, et al. Monocyte chemoattractant protein-1 (MCP-1): an overview. J Interferon Cytokine Res. 2009;29(6):313–326. Souza CO, et al. Palmitoleic acid reduces the inflammation in LPS-stimulated macrophages by inhibition of NFκB, independently of PPARs. Clin Exp Pharmacol Physiol. 2017;44(5):566–575. Matthan NR, et al. Effects of dietary palmitoleic acid on plasma lipoprotein profile and aortic cholesterol accumulation are similar to those of other unsaturated fatty acids in the F1B golden Syrian hamster. J Nutr. 2009;139(2):215–221. Yang ZH, et al. Oral administration of omega-7 palmitoleic acid induces satiety and the release of appetite-related hormones in male rats. Appetite. 2013;65:1–7. Duckett SK, et al. Palmitoleic acid reduces intramuscular lipid and restores insulin sensitivity in obese sheep. Diabetes Metab Syndr Obes. 2014;7:553–563. Nunes EA, Rafacho A. Implications of palmitoleic acid (palmitoleate) on glucose homeostasis, insulin resistance and diabetes. Curr Drug Targets. 2017;18(6):619–628. Vitamin E and Skin Health. Oregon State University, Linus Pauling Institute Micronutrient Information Center. Feb 2012. Accessed 22 Oct 2018. Fatima T, et al. Fatty acid composition of developing sea buckthorn (Hippophae rhamnoides L.) berry and the transcriptome of the mature seed. PLoS One. 2012;7(4):e34099. Zielińska A, Nowak I. Abundance of active ingredients in sea-buckthorn oil. Lipids Health Dis. 2017;16:95. Insulin Resistance & Prediabetes. National Institute of Diabetes and Digestive and Kidney Diseases, National Institutes of Health. Published May 2018. Accessed 22 Oct 2018. Guo X, et al. Palmitoleate induces hepatic steatosis but suppresses liver inflammatory response in mice. PLoS One. 2012;7(6):e39286. Bernstein AM. Purified palmitoleic acid for the reduction of high-sensitivity C-reactive protein and serum lipids: a double-blinded, randomized, placebo controlled study. J Clin Lipidol. 2014;8(6):612–617. Aquino-Bolanos E, et al. Fatty acids profile of oil from nine varieties of Macadamia nut. Int J Food Prop. 2017;20(6):1262–1269.